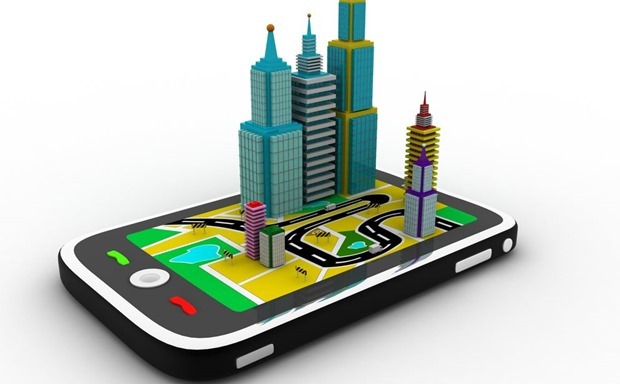 New Delhi Municipal Council (NDMC) has announced that in order to make New Delhi a smart city, they will soon start 3D mapping of all places includes buildings, trees, roads and sewers. NDMC has already a budget surplus of Rs 27.2 crore, and after their annual budget announced yesterday, they will now move more aggressively to convert New Delhi into a smart and safe city. Which Areas Will NDMC Cover? New Delhi has been divided into three local bodies: Municipal Corporation of Delhi (MCD), New Delhi Municipal Council (NDMC) and Cantonment Board (areas under Army). MCD controls more than 97% of the New Delhi, whereas NDMC only controls 3% of the city which includes the crème de la crème locations, commonly known as Lutyen’s Delhi. All important buildings and offices such as Rashtrapati Bhawan, Parliament House, Supreme Court, North and South Blocks are in NDMC, along with various embassies of different countries and diplomatic centers. Delhi Government allocates different budgets for all three local bodies. NDMC basically covers an area of 43.7 kms, and is headed by the Chief Minister, who is Arvind Kejriwal as of now. But Will These Projects Start? Yesterday, while announcing the annual budget for Delhi, CM Arvind Kejriwal had reduced the budget allocations for development and infrastructure works by Rs 1350 crore, and increased the budget for non-planned subsidies such as free water and free electricity by Rs 2500 crore. The smart city project by NDMC falls under the development and infrastructure works, and although NDMC has a separate budget, the overall funding is derived from the same pool of funds (Rs 38,000 crore for 2015-16). It would be interesting to observe how the newly formed AAP Govt. carries forward the smart city project after promising heavily subsidized water and electricity to please the masses. Samsung Too Goes Xiaomi Way, To Introduce Online-Only Smartphone Sale!